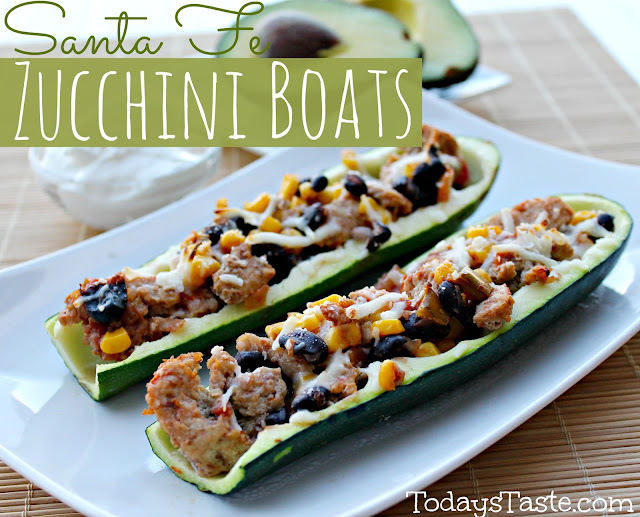 We have a lot of Zucchini right now and I am so excited to share this recipe with you- Santa Fe Zucchini Boats. My husband said that he has never eaten such delicious Zucchini in all his life. Even my kids downed theirs! The best thing about it... it is HEALTHY and you wouldn't even know it! Pre-heat oven to 400 degrees. Coat a 13×9 baking dish with non-stick cooking spray. Set aside. In a large non-stick skillet, combine ground turkey, onion, salt and pepper. Cook over med-high heat until turkey is brown and cooked through. While the turkey is cooking, make the ‘zucchini boats’ by scooping the seeds from center of each zucchini half, using a spoon or melon baller. This will make 8 long ‘zucchini boats’. Set boats in baking dish, placing them side by side. Once your meat is browned, put the corn, beans, salsa and salt and pepper into the skillet and mix. Cook until it is all warmed through. Spoon turkey mixture into zucchini boats. Sprinkle mozzarella cheese over the top of each boat. Bake zucchini boats for 10 to 12 minutes, or until cheese is melted and zucchini is tender. I served mine with fat free sour cream, and avocado. 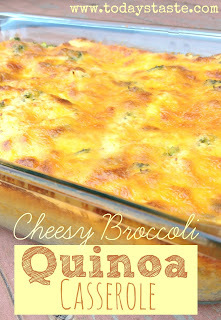 Looking for another Gluten Free Recipe? This looks so delicious!! Must try!! Hi, this sounds so good. I pinned it and looking forward to making this sometime. I saw it on link party palooza.